In only a few decades, we’ve traveled from the days when we first heard, “You’ve got mail!” to an era in which nearly every facet of our lives now involves the internet — particularly our consumer lives. If you can name it, you can likely buy it online without ever needing to interact with another human being (or put on pants). But avoiding human interaction does come with one catch: you need a way to pay for your online purchases; cash simply won’t do. While prepaid cards and debit transactions are used by some, credit cards are the name of the game for those who want a safe and secure digital purchase. 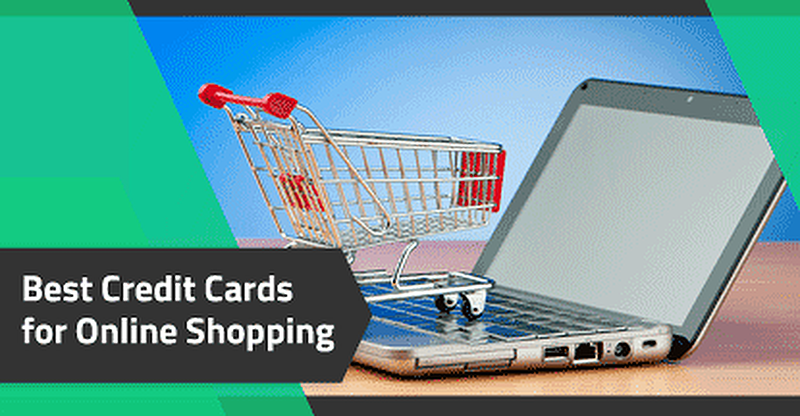 Not only do most cards provide built-in purchase and fraud protections, but many cards also offer valuable purchase rewards. 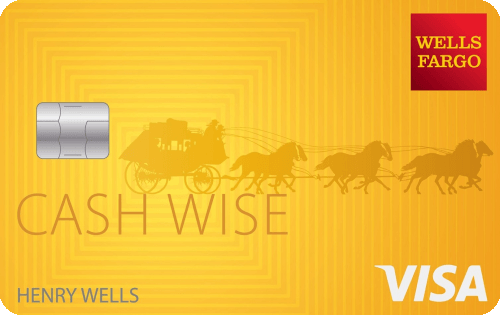 If ever there were a no-brainer way to shop, it must be with a good cash back rewards credit card. Cash back cards effectively provide a universal rebate on everything you purchase with your card, making it easy to save without ever needing to clip or download a cumbersome coupon. Plus you’ll be covered in case of unauthorized charges or if you have a major problem with your online purchase. Some cash back cards have a single flat unlimited rate for all purchases, while others also provide higher rewards rates for purchases in specific categories. Choosing the best cash back card for you will mean looking at where you make the majority of your purchases and which card can help you maximize your cash back. 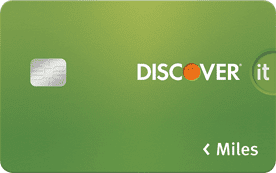 Our favorite cash back cards include a mix of both rewards types. Cash back credit cards aren’t the only ones with built-in protections, of course; all credit cards have liability caps for fraudulent use. Cardholder liability for unauthorized use of any credit card is limited to $50. And if you report the card as lost or stolen before any fraudulent charges are made — or only your card information is stolen — you have $0 liability. In contrast, your liability for purchases made with debit cards that are lost or stolen is only limited if you report the missing card in a timely manner. You’ll have a $0 liability if you report the debit card before charges are made, a $50 liability cap if you report the card within two business days, and a $500 cap if you wait up to 60 days from when your statement is sent. Wait any longer than that, and you’ll be fully liable for any and all losses. Although you once had to actually fly to earn travel miles, these days rewards credit cards make it easy to accrue travel points and miles before ever stepping foot on a plane. Which means with the right travel rewards card, you can not only enjoy safe and secure online shopping, but you can earn points or miles for free travel while you’re at it. As with other types of rewards cards, travel rewards credit cards will usually have a flat unlimited rewards rate, with some cards offering higher rates for purchases made in specific bonus categories. 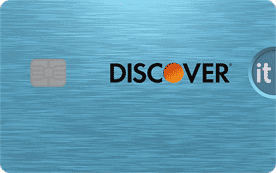 You can select a card that earns branded airline miles, or choose a more flexible card without brand restrictions or blackout dates, like those on our list of top travel cards. In addition to the standard fraud and purchase protections that come with using a credit card, travel credit cards often provide special travel-related benefits. For example, the popular business card, Ink Business Preferred℠ Credit Card, comes with trip cancellation and trip interruption insurance that may reimburse you up to $5,000 in case your trip is affected by sickness, severe weather, or other covered situations. While travel insurance and related benefits can be extremely valuable, keep in mind that most cards require your trip to be completely or at least partially paid for with the card that offers the insurance benefits. The aspects of your trip that are covered may also vary by card and issuer, with most programs covering things like passenger fares, hotel stays, and guided tours. Thanks to the Fair Credit Billing Act (FCBA), all credit cardholders have a cap of $50 on their liability for unauthorized charges made with a lost or stolen credit card. But that $50 can still be a blow, especially if your whole wallet is gone and you’ve already taken some losses. You can protect yourself further from the potential costs of fraud with a card that has a $0 Fraud Liability policy in place. Since it’s typically issuers that maintain $0 Fraud Liability policies, rather than specific cards, these policies tend to apply to all cards offered by the issuer. This means you can find a wide range of credit card types that come with $0 Fraud Liability, including cash back and travel cards like some of our top picks below. The best way to avoid getting stuck paying for charges to your credit card that you didn’t authorize is to regularly check your credit card statement to ensure you recognize all the charges. If you do see a charge you don’t recognize, you should immediately dispute that charge with your issuer. This can typically be done right from your online statement (and, often, from a link next to the charge itself). Since the main reason many of us shop online is for the sheer convenience of the process, using a credit card can often add to that convenience factor. Namely, your credit card often makes it remarkably simple to make purchases in foreign currencies. That’s because, in most cases, your credit card purchase will automatically convert your payment from (or to, as it may be) US dollars to the foreign purchase currency. Now, the downside to the automatic currency conversion is that many credit cards will charge a foreign transaction fee for the service. Typically 2% to 4% of your total purchase, these fees can add up quickly. Thankfully, a number of credit cards are available on the market, including our picks below, that don’t charge any foreign transaction fees, making it easy — and affordable — to complete foreign currency transactions. While the most obvious foreign transaction occurrences are those made when you travel to another country and use your credit card to make in-person purchases, you don’t necessarily need to cross a border to make a foreign transaction. Most credit card issuers and networks consider any transaction made with a foreign currency to be a foreign transaction that may be subject to foreign transaction fees. Of course, the nature of which purchases are “foreign” will depend on your country of origin. If you are a US credit cardholder, then foreign transactions are those not completed in US dollars. If you obtained your credit card in another country, your card’s native currency will generally be for that country. In a world where two-thirds of young people would rather shop online than in a store, it’s little surprise that many students are on the lookout for a secure way to make online purchases. With a variety of built-in protections, credit cards are not only a safe way to shop online, but can also be a good way to start building a credit history for a strong post-graduation credit profile. Although most students won’t have much established credit history while in school, credit cards aimed at students typically have flexible credit requirements that take these limitations into account. Many of our favorite student credit cards also have student-centric benefits, purchase rewards, and won’t charge an annual fee. For some students, it won’t be a lack of credit history that keeps them from obtaining a credit card. The CARD Act of 2009 limits the ability of young people under the age of 21 to obtain a credit card without an independent source of income (read: job) or a parental cosigner. All primary credit cardholders must at least 18 years of age, as well. If you can’t qualify for a credit card on your own due to age or income restrictions, the best plan may be to become an authorized user on a parent’s credit card. 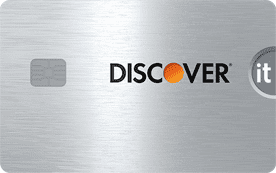 Authorized users can enjoy the safety and security of paying with credit cards, plus the card will be reported to the authorized user’s credit profiles to help establish and build credit. Having bad credit comes with a lot of hurdles to jump through in the financial world, but, fortunately, the inability to make secure online purchases doesn’t need to be one of them. No matter what your credit looks like, you can likely qualify for some type of credit card, and that credit card will be subject to the liability caps provided by the Fair Credit Billing Act (FCBA). With poor credit, your credit card options will primarily consist of unsecured subprime cards, closed-loop store cards, and secured credit cards. While secured credit cards will require a deposit to open and use, unsecured credit cards for those with bad credit tend to have much higher fees. Start comparing your options with our expert-rated selections below. While the deposit needed to open a secured credit card can be intimidating for some, the minimum deposit amounts for many secured credit cards can be surprisingly close to the total amount of fees you’ll be charged by some subprime unsecured credit cards. 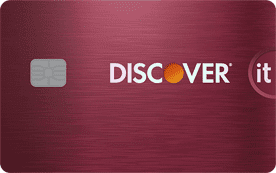 The upgradable Discover it® Secured, for example, has a minimum deposit of only $200 and no annual fee. Of course, unless you can put together a $300 to $500 deposit, you can find unsecured cards that may provide higher credit limits than secured cards, but there’s one more thing to consider. Your security deposit will be returned to you when you close your account (so long as it’s in good standing). Those costly unsecured credit card fees will be gone forever. Not so long ago, internet service providers were downloaded to your computer via a floppy disk that came in the mail, and internet users had to choose between a usable phone line or a live internet connection. Nowadays, we all walk around in a world of browsers and WiFi hotspots, with the entire world wide web in the palms of our hands. And while all that connected convenience is certainly a boon to those who like to shop without having to put on pants or deal with salespeople, online shopping does have its own risks, particularly financial risks. But you can mitigate most of those risks by shopping smartly — like not using the same “ilovekitties” password for every site — as well as shopping safely with a limited-liability credit card.